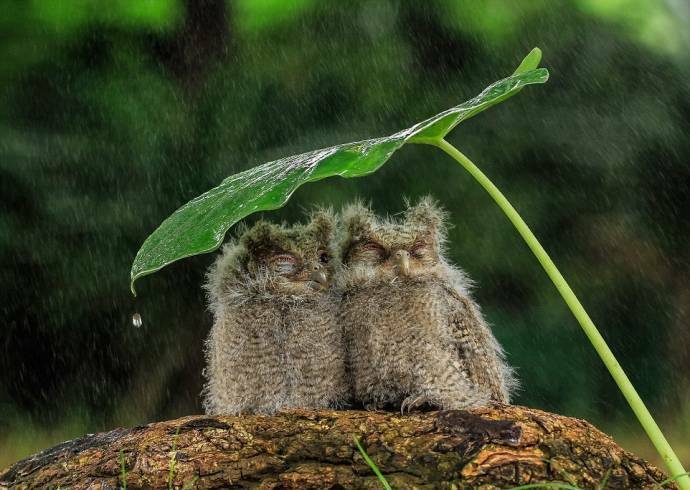 The baby owls got caught in some unexpected downpour so were forced to take shelter under a makeshift roof. 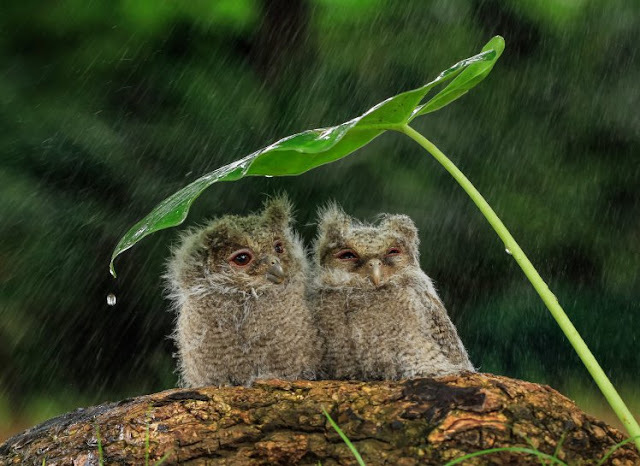 They huddled together under the large flat plant, using it as an umbrella to protect them from the rain. 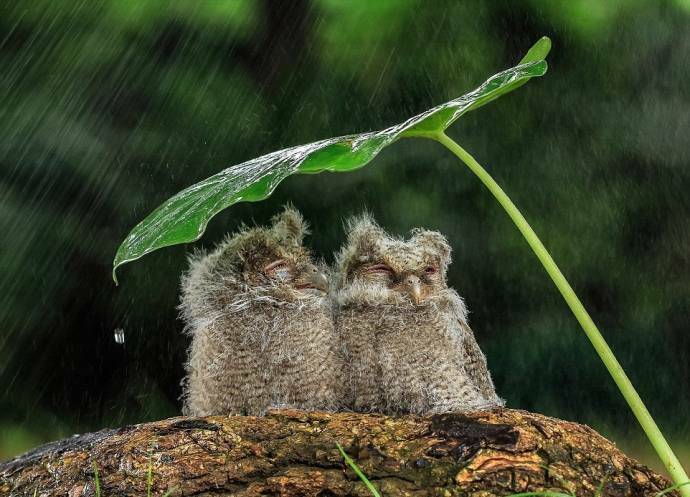 The adorable scene was captured by 36-year-old photographer Tanto Yensen at a small park near his home in Jakarta, Indonesia. 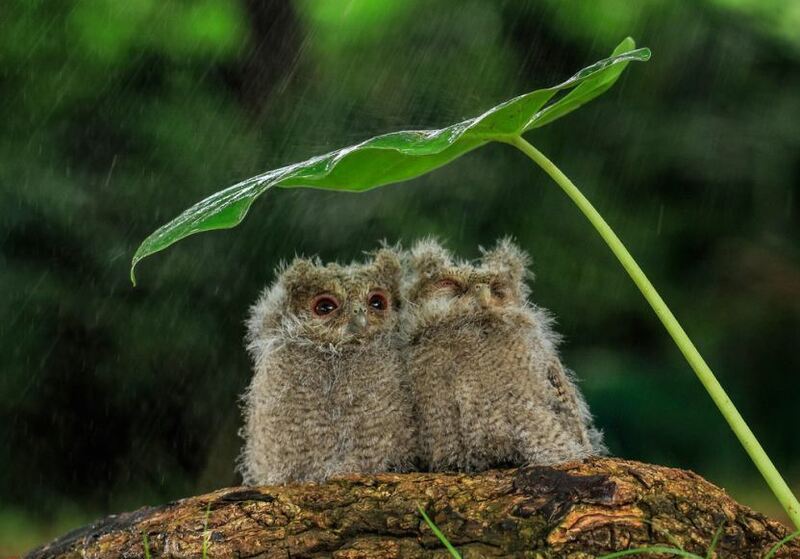 Tanto said: ‘I was briskly walking home through the park when I spotted the owls perched on the branch of a tree. 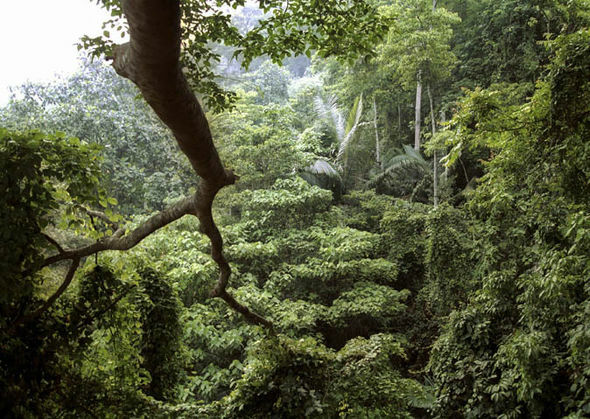 He added: ‘It was raining heavily in Jakarta for around an hour. Luckily, I had my camera in my bag, but I had to be careful not to get the lens wet. ‘I used a plastic covering to protect my equipment which was a little fiddly. They looked so sweet that I couldn’t help but spend some time capturing the moment. The rare species of owl, known in Indonesia as the Celepuk owl, are native to the island of Java, Indonesia. 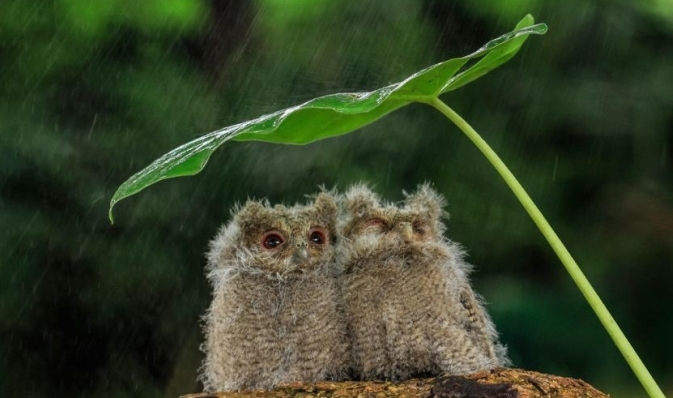 Responses to "Adorable owls huddle together under a leaf to take shelter from rainstorm "